It seems that there is an unwritten rule for kitchen design. Granite countertops, tiled flooring and predictable colors. Add some personality to your kitchen and make it your own. Here are a few ways you can break free of cookie cutter kitchen designs. There a variety of ways to brighten up a dull kitchen. You can have a lot of fun with bold lighting fixtures to add personality to the mix. You could also opt for natural lighting, both light and dark. A kitchen doesn’t have to be all flowers and sunshine. A darker, moody kitchen fits well with the design of many homes. Pick what works for you! 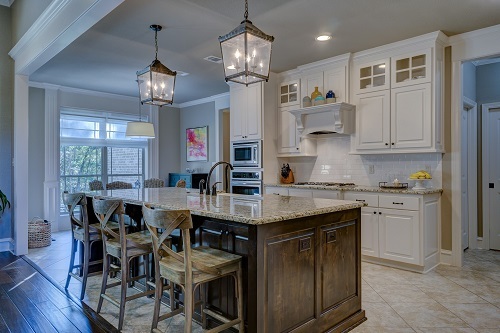 Add a timeless look to your kitchen with sinks, lighting, tables and more. 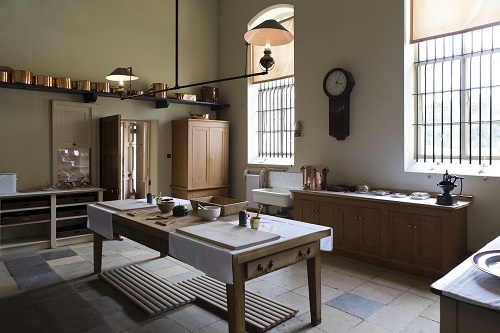 The simple, yet practical designs of vintage kitchens have yet to go out of style. If you’re handy, you can construct many of the pieces yourself. From stripped cabinets to weathered boards, you can easily find unique materials to work with. Or, you could always just take a trip to your Grandma’s house and borrow some tarnished silverware. Toss in a healthy helping of juxtaposition into a dull kitchen to immediately grab anyone’s attention. Antique dressers, polka dot curtains and colorful rugs are the types of items that can animate any subdued space. There is no need to go overboard, though. You can elicit a pleasant shock through unusual furnishings, but don’t overload the senses. 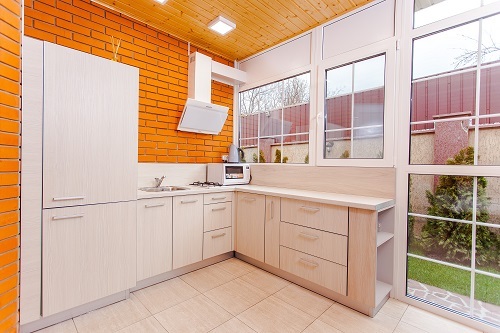 If you are dealing with a small kitchen, you know that every inch of space counts. 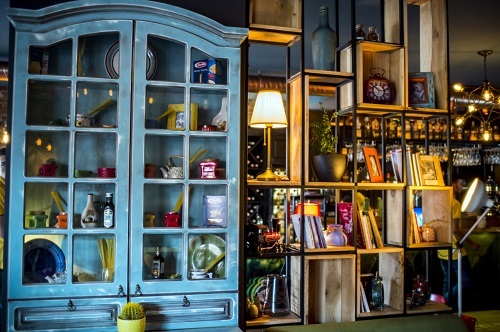 You can make your kitchen stand out by incorporating unique self storage designs. 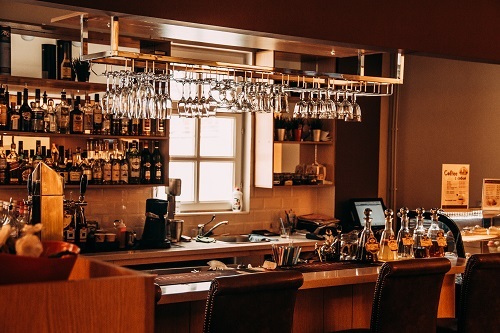 Ceiling-mounted racks for glasses and wheel-mounted moveable island desks are just the beginning. Slap on a sleek two-by-four for your recipe books, appliances and dishes for a simple storage solution. Look for areas that you wouldn’t initially think of. The area right above the kitchen cupboard usually has plenty of space for additions like another shelf for rarely-used items. Diahann Young is the Director of Digital Platforms and Innovation at Pulte Homes in Orlando, Florida. She specializes in discovering innovative ways of developing products for home building. Her role with Pulte has strengthened her passion for DIY, design and real estate.